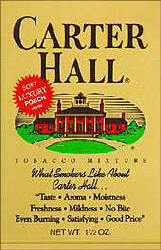 Carter Hall Pipe Tobacco is a benchmark for OTC tobacco. 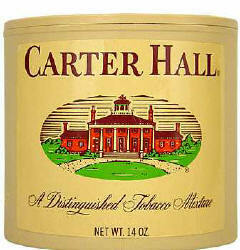 Carter Hall Pipe Tobacco Mellow Burleys are cross-cut and blended with some flake-cut Virginias and finished with a subtle top note. This cool-smoking blend has been part of the American pipe-smoking landscape for decades and delivers a comforting, bite-free experience; an ideal all-day smoke with Carter Hall Pipe Tobacco.